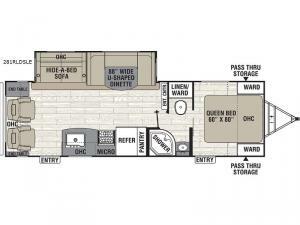 If your spouse has been interested in having dual entry doors to allow you to sneak out to go hiking or biking through a separate exit so they can sleep in, this travel trailer is for you. 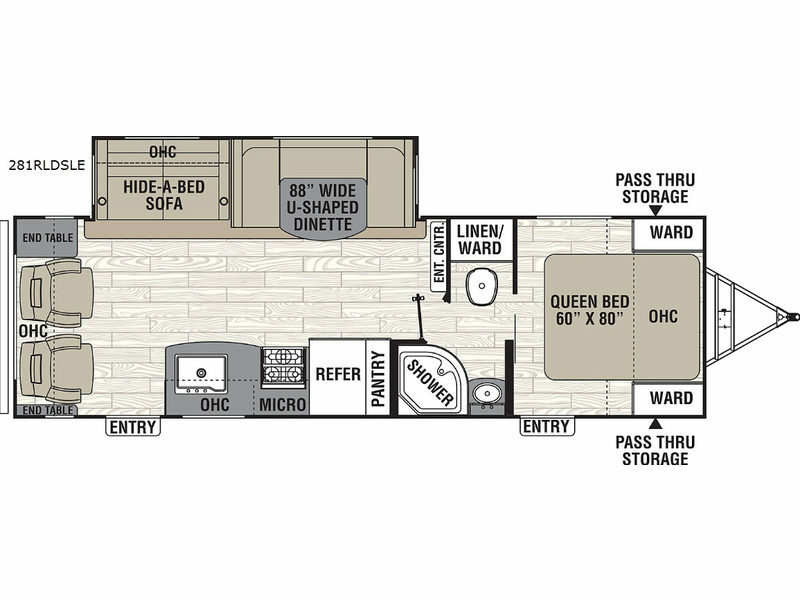 If your kids or grandkids tag along, there is extra sleeping space on the hide-a-bed sofa, and the U-shaped dinette which also has a removable table. Before heading outside you might even relax on one of the two lounge chairs. You will surely enjoy the kitchen appliances when you aren't cooking over the campfire, and the convenience of the walk-through bathroom allowing easy access from the bedroom and the living area. Take a look!